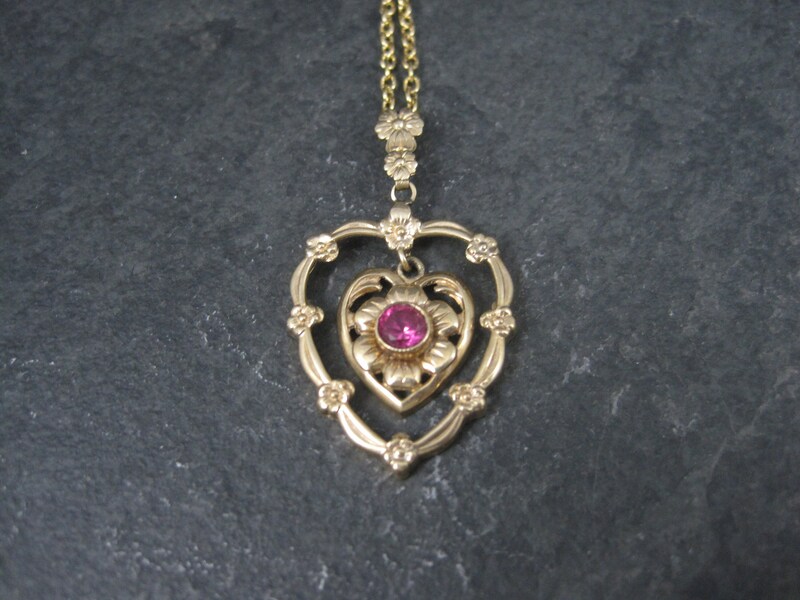 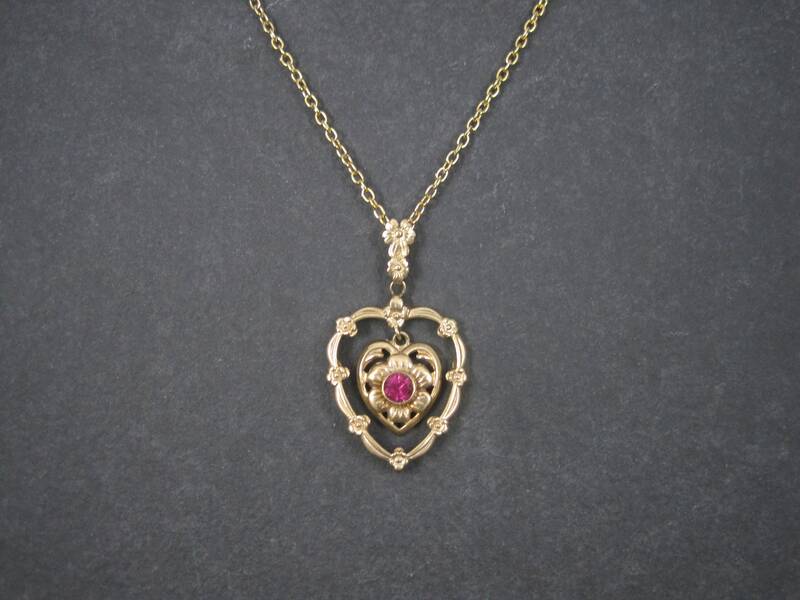 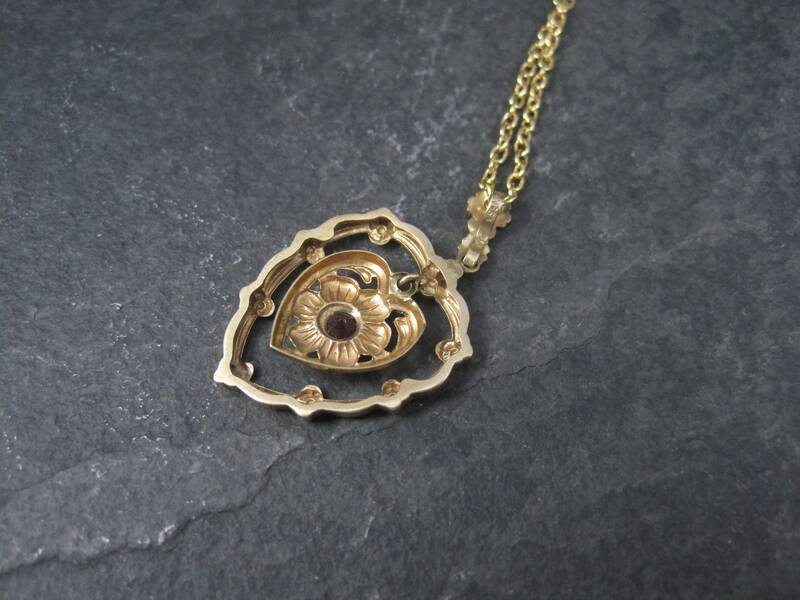 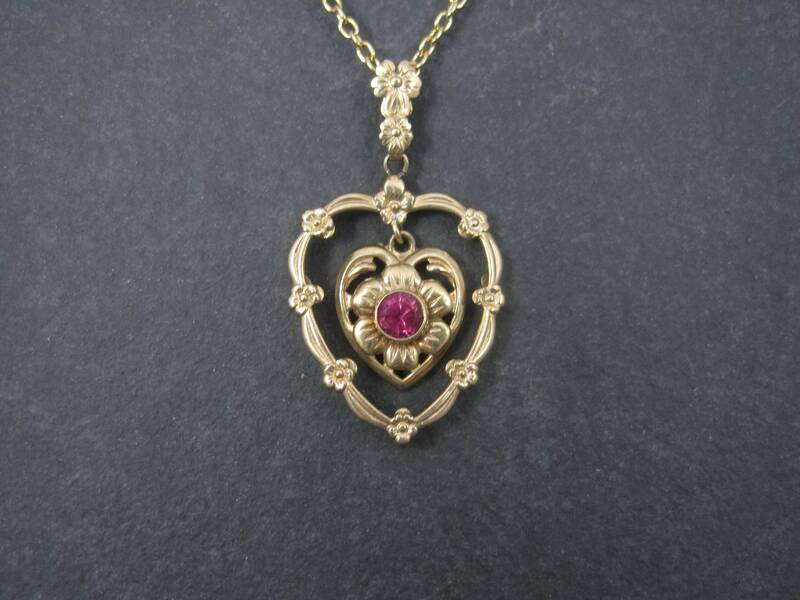 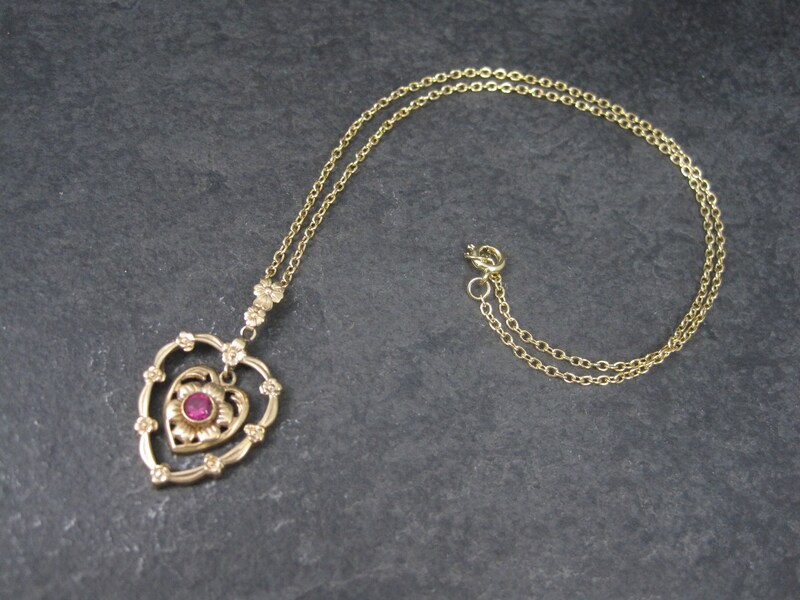 This gorgeous antique heart pendant is 10k gold. 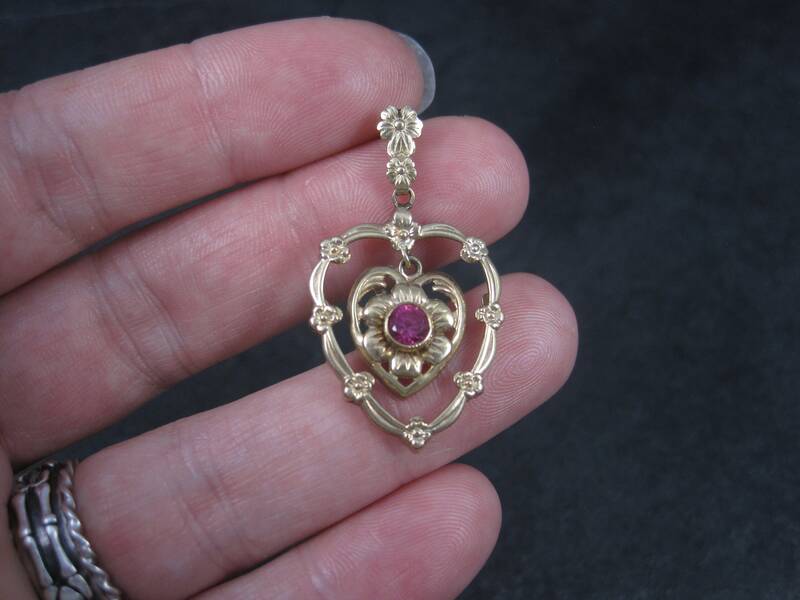 It features a 4mm round created ruby gemstone. 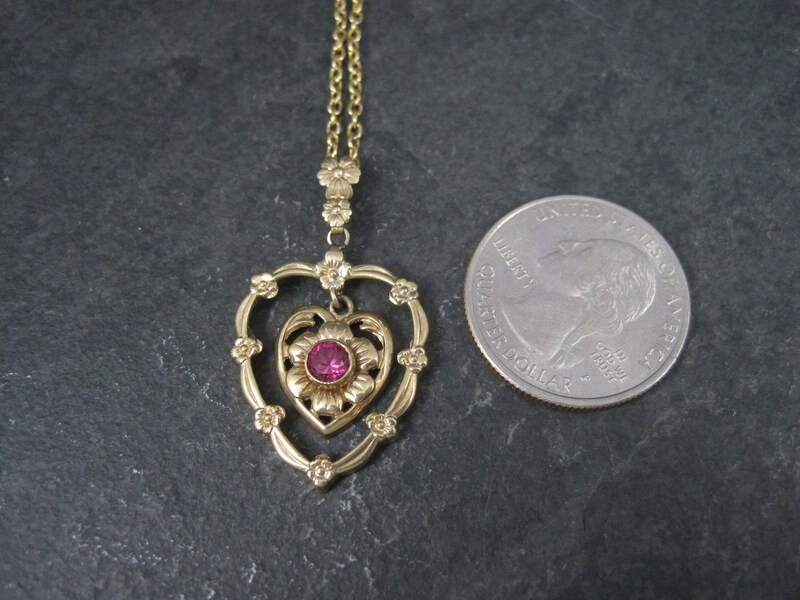 Measurements: 13/16 by 1 7/16 inches, including bail. Will come on a free 16 inch chain.